Interoperability in the software used for project design and construction is vital to the collaborative process required by the AEC industry. More than that, interoperability is good business for AEC firms and asset owners. Our recent agreement with Trimble to increase interoperability by exchanging APIs and developer tools is one more demonstration of Autodesk's commitment to offering our customers the best workflows possible and to improving the way buildings and infrastructure are designed, built and managed. Nearly half (49%) of contractors surveyed in a 2014 McGraw Hill Construction Smart Market Report rank collaborative BIM processes high on their list for BIM investments, citing standardized deliverables and repeatable workflows as "vital to improving the effectiveness of the broader ecosystem." We heard that! Expanding software interoperability and supporting leading industry standards, such as IFC and COBie, helps AEC professionals deliver higher quality work more safely, on time, and on budget. Sure, its good business for software vendors too, but with an open approach such as ours, project teams choose the best tools for the job, ensuring a more accurate flow of information crucial to meeting today's complex project requirements. Autodesk was founded on an open platform: the PC. In the earliest days of CAD, most vendors offered tightly coupled hardware/software systems that were proprietary. But Autodesk customers could run AutoCAD® on any PC. The DXF file format is still one of the most efficient and popular ways of sharing CAD graphic and attribute data and the DXF schema is available for all to use. In 2008, Computerworld predicted that "reading on screen" and "social everything" would take off. (Imagine!) It's also the year, Autodesk signed an interoperability agreement with Bentley Systems to expand interoperability between our portfolios -- exchanging software libraries, including Autodesk RealDWG, to improve the ability to read and write DWG and DGN formats in mixed environments with greater, fidelity and supporting the reciprocal use of available Application Programming Interfaces (APIs). No one beats Autodesk for export and import certifications. See for yourself by looking at our list of certifications that support the IFC (Industry Foundation Classes) standard. You'll find the IFC standard used in many Autodesk products, including Revit, AutoCAD Civil3D, Autodesk Inventor, Autodesk Navisworks, and Autodesk BIM 360 Glue. COBie (Construction Operations Building Information Exchange) is critical to simplify the capture of project handover data. The Autodesk COBie Extension lets you pull COBie-compliant information directly from a Revit model. In the COBie for Design challenge organized by buildingSmart, Autodesk scored a perfect 100 percent by producing a complete COBie deliverable that required zero additional processing or edits. Pulling COBie-compliant information directly from Autodesk Navisworks is now available, which supports the export of non-Revit and infrastructure information to the COBie standard format. In 2015, Autodesk introduced the Forge platform to help foster a cloud-connected developer community, making design and engineering information available in virtually any format and enabling build-on functionality with open APIs. Forge includes APIs to tools like Autodesk BIM 360 to bring more of the ecosystem into a construction project, expand their insight, and improve decision making capabilities. Now, with the Autodesk and Trimble agreement on interoperability, AEC professionals can look forward to more tightly integrated processes, further enhancing the ability for project teams to collaborate more seamlessly while using the products they choose. Just like ComputerWorld understood the potential for the internet way back in 2008, we know that our customers don't want to feel that their data is "locked" in a specific application or with a specific vendor. The notion of a single tool for a single job is rapidly becoming antiquated -- data needs to flow across teams, projects, and applications. Interoperability helps to drive a tightly connected Building Information Modeling (BIM) process on projects. Our commitment to keeping the open in OpenBIM truly open is unwavering. 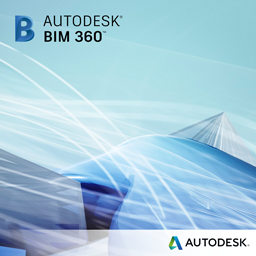 To learn more about how BIM 360 supports interoperability with support for over 50 different file formats, please look at the BIM 360 website. You may not be aware that IFC started its life as AFC, the Autodesk Foundation Classes, spearheaded by Richard See, at the time.